FIDA is established in New Mumbai by professionals who have worked in Indian Design industries and also have exposure in International markets. After many years of exposure in various markets and industries we realised Indian design industry is way behind the developed markets. Even some of the smallest and non developed countries have mature & developed design market. The major reason we realised is the standard of curriculum and very limited exposures of students in world class operations in these industries. Many people do not even know what actually designind is and what it actually stand for except the images from films about these industries. Plot 2, Opposite Mansarovar railway station, Kamothe, New Mumbai. 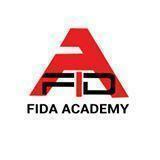 Fida Fashion Interior Design Academy conducts classes in AutoQ3D, Autocad and Big Data. It is located in Kamothe, Mumbai. It takes Regular Classes- at the Institute.